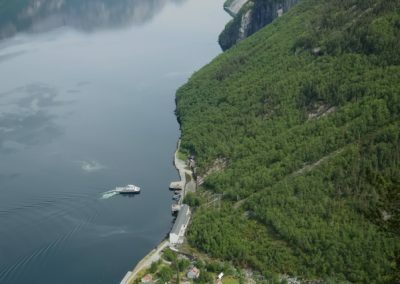 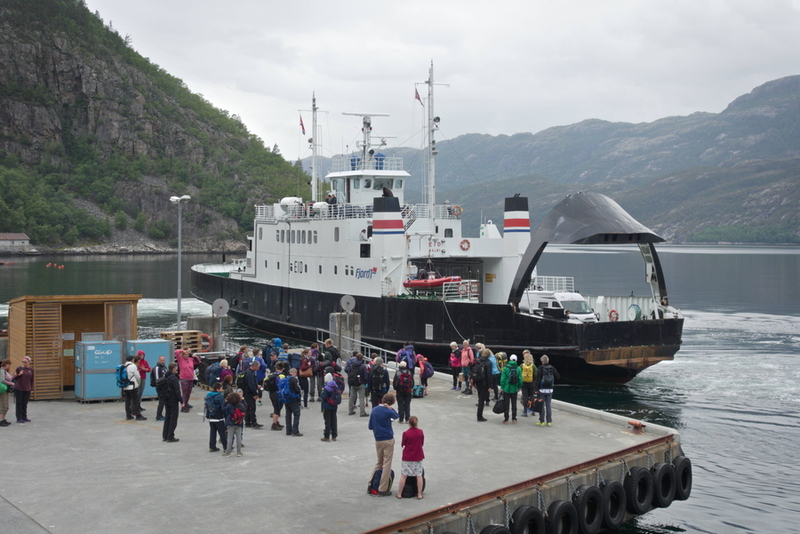 There are two ferry companies operating on the Lysefjord: Kolumbus and TheFjords. 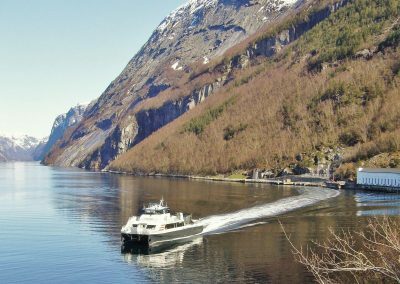 Kolumbus is the public transport offer. 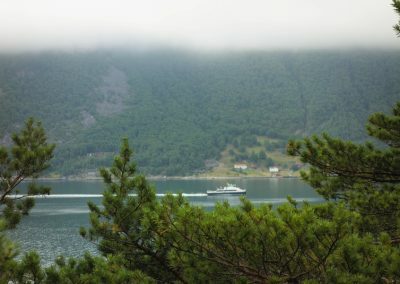 It is a fast-going boat which takes up to 10 cars and operates all year, though not on saturdays and sunday morning. 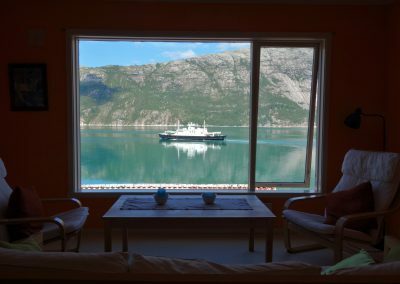 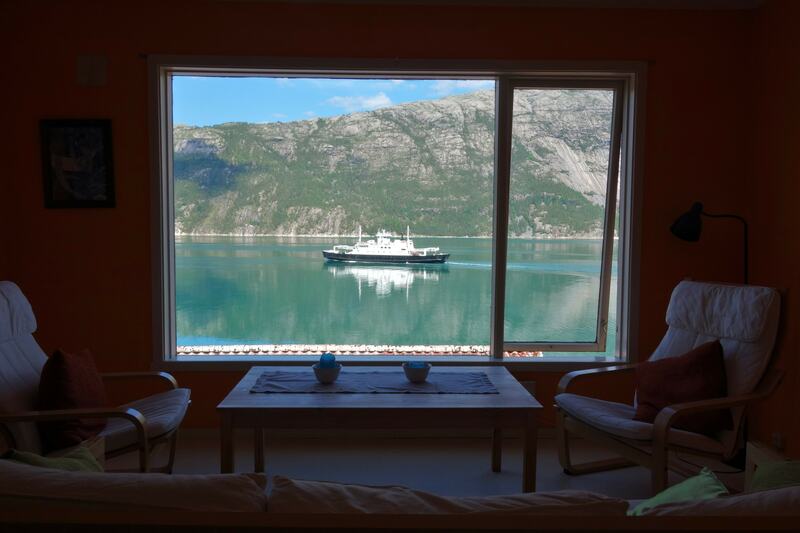 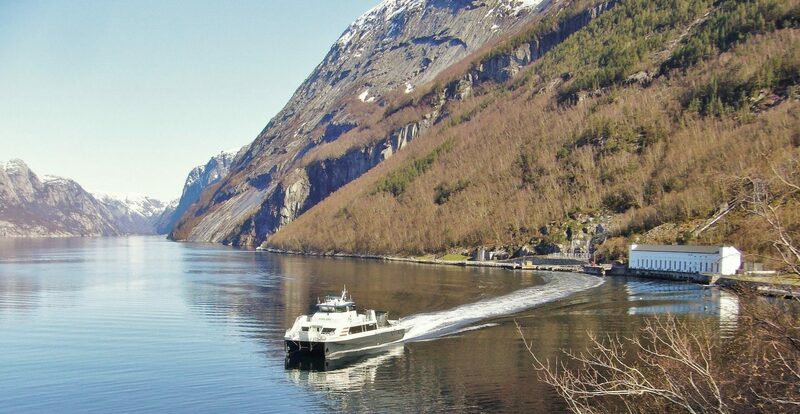 TheFjords tourist carferry is the sightseeing offer taking more passengers and up to 40 cars. 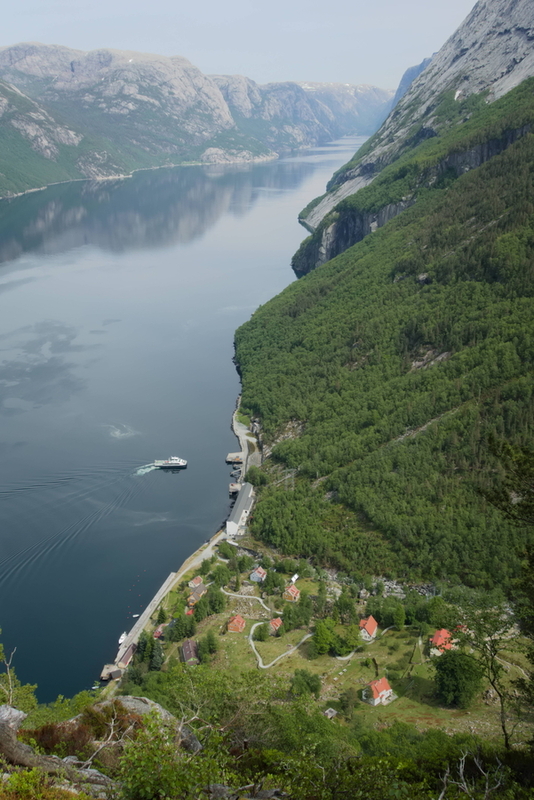 It is slower and more expensive, but you get to see all the sights in the Lysefjord from up close. 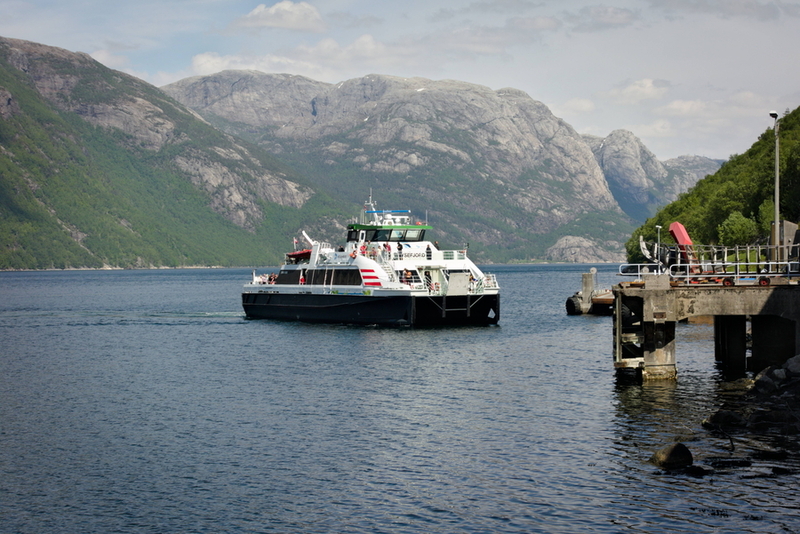 On our site you find an up to date overview with both ferry schedules. 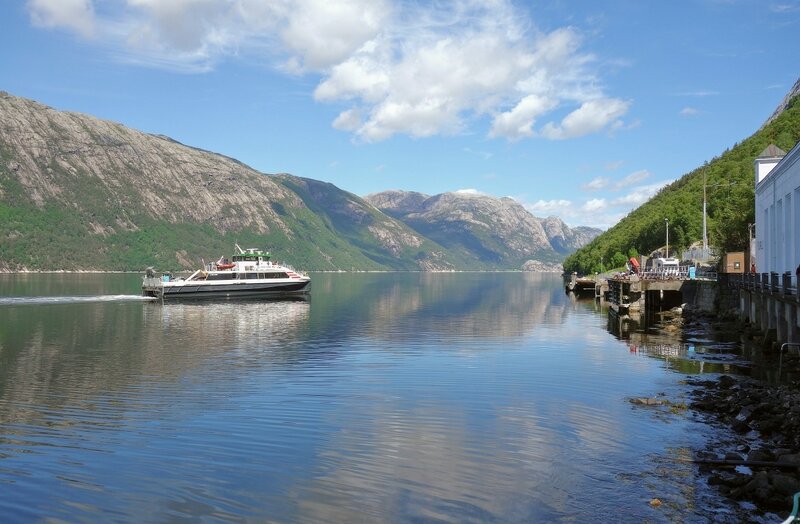 Book ferries online for weekends and holiday periods. 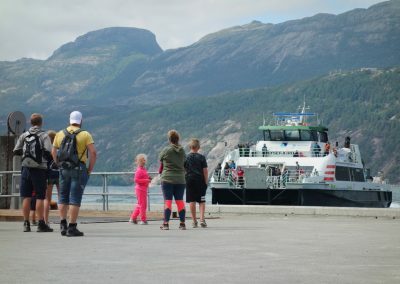 Otherwise they may be full for passengers and cars. 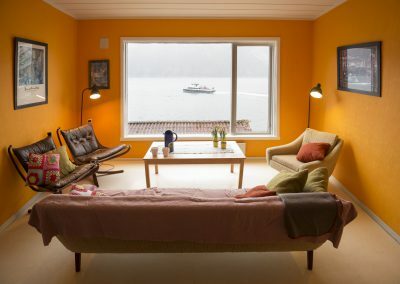 Our recommendation is to book them a week in advance. You can park your car safely and for free on all quays (except Stavanger). You can even bring your car to Flørli. 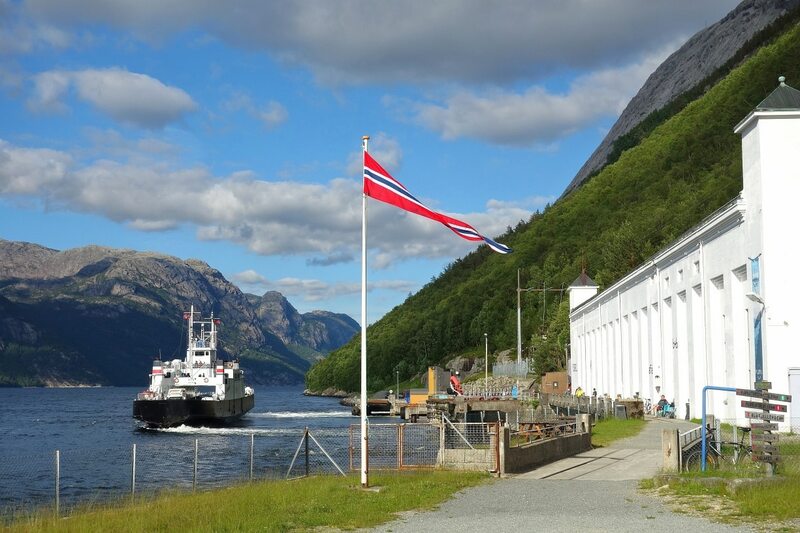 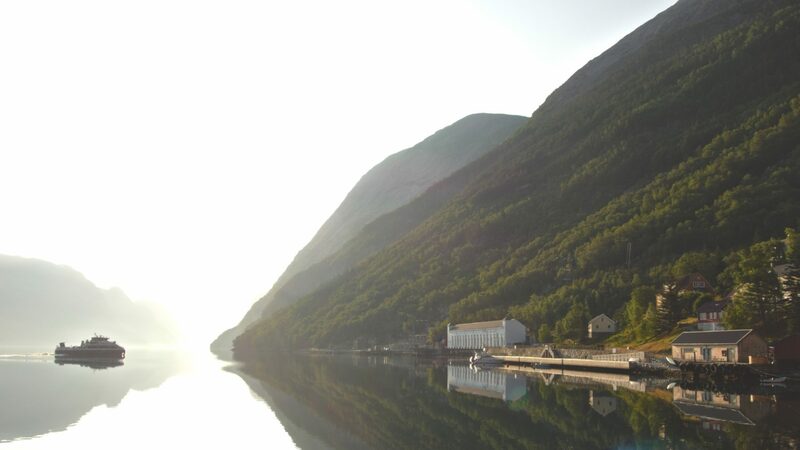 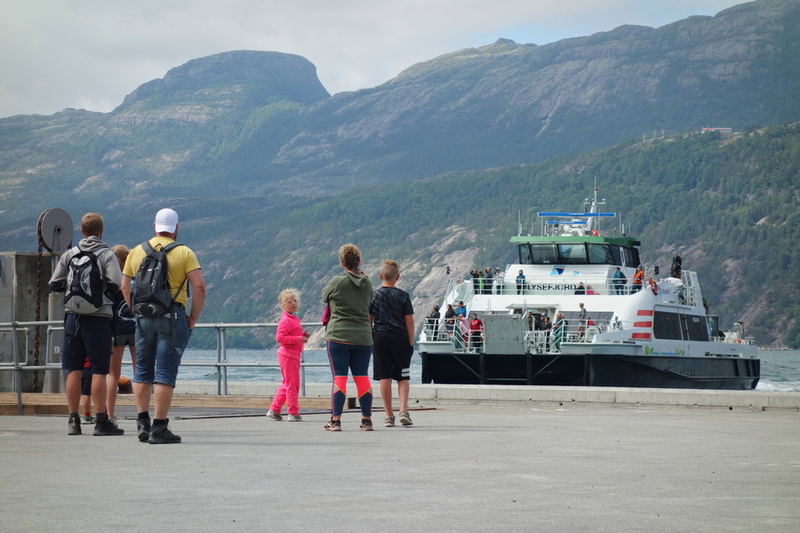 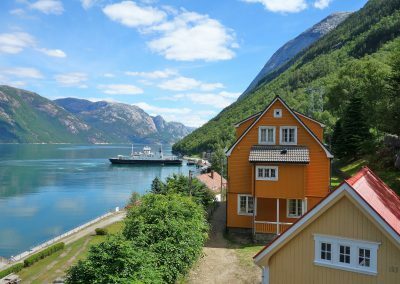 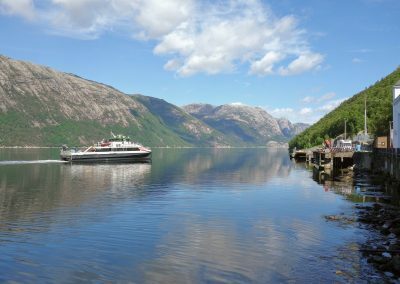 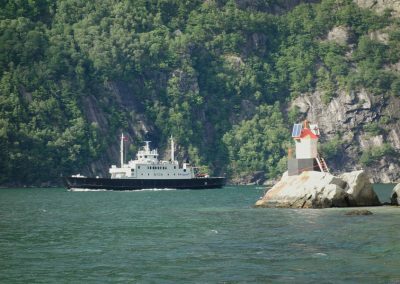 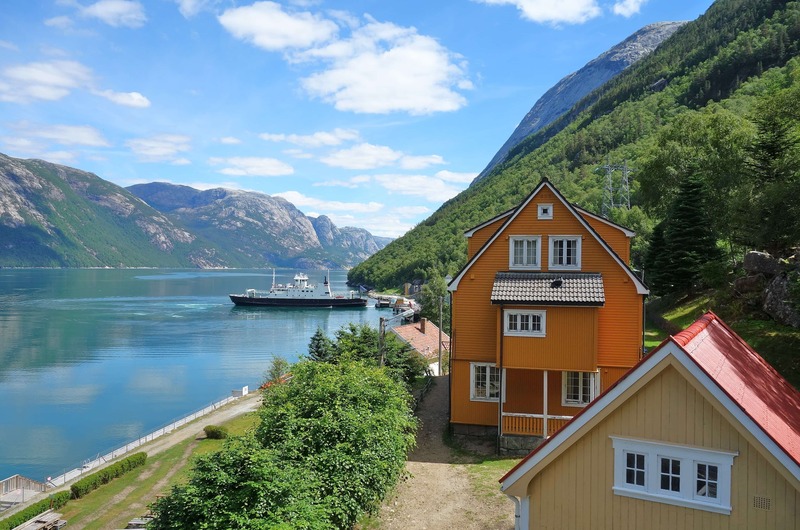 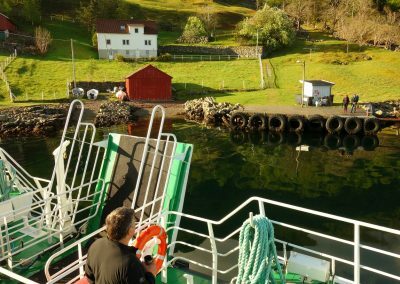 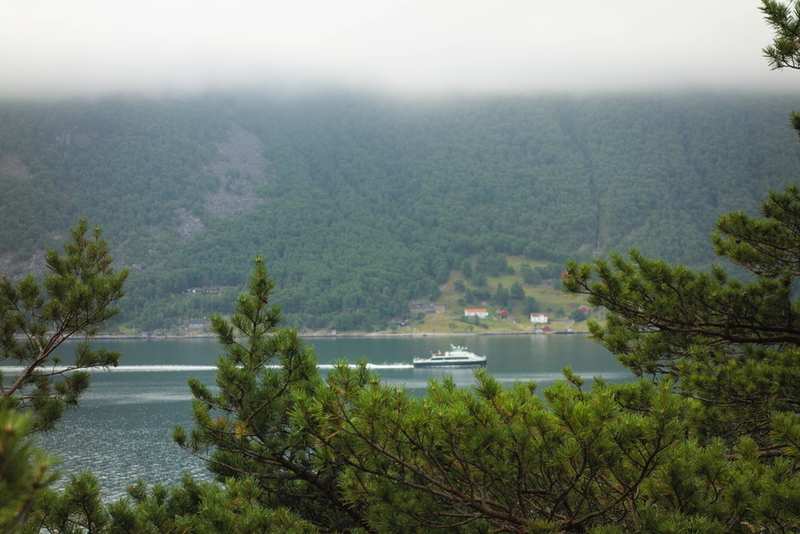 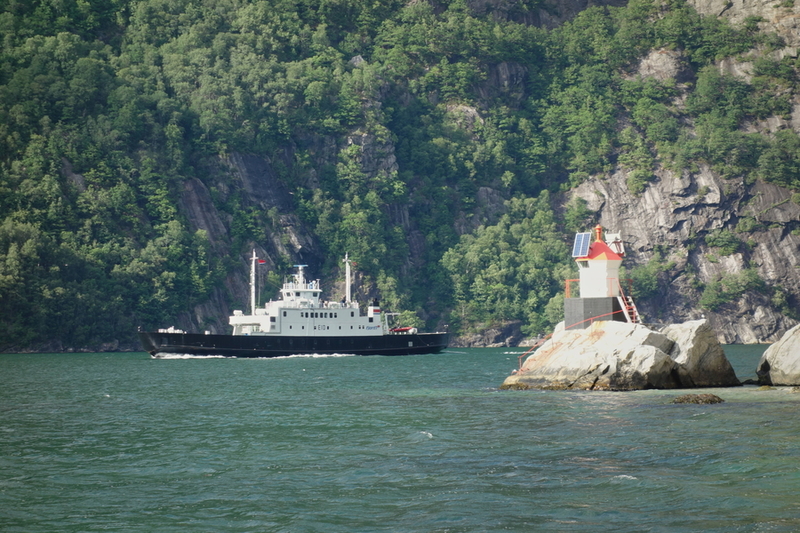 Campers and low sports cars can’t take the Kolumbus ferry – take TheFjords in stead. 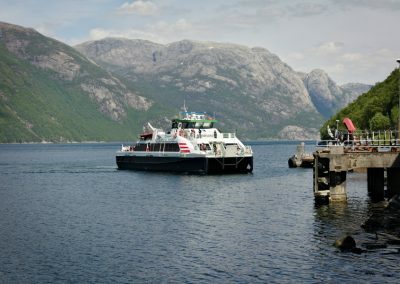 TheFjords tourist ferry is expensive, but has convenient departure times and it passes much closer to shore than Kolumbus. 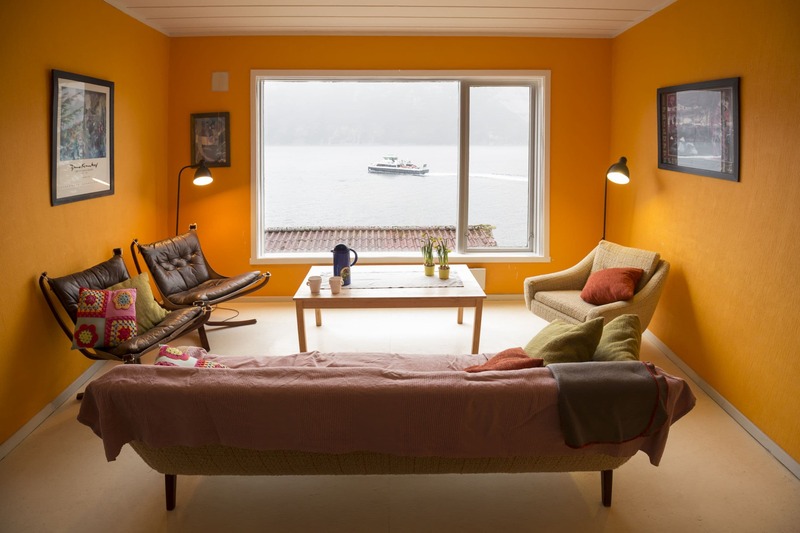 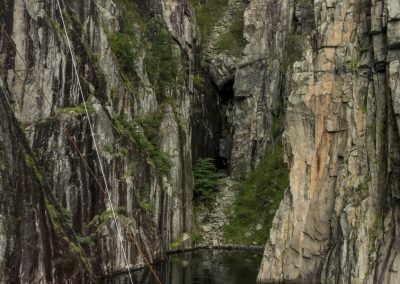 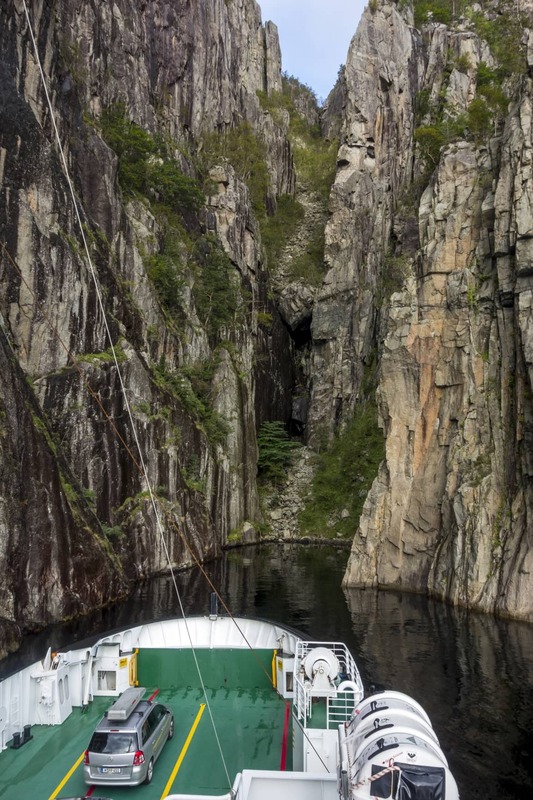 It may be worth it if you really appreciate the experience on the fjord! 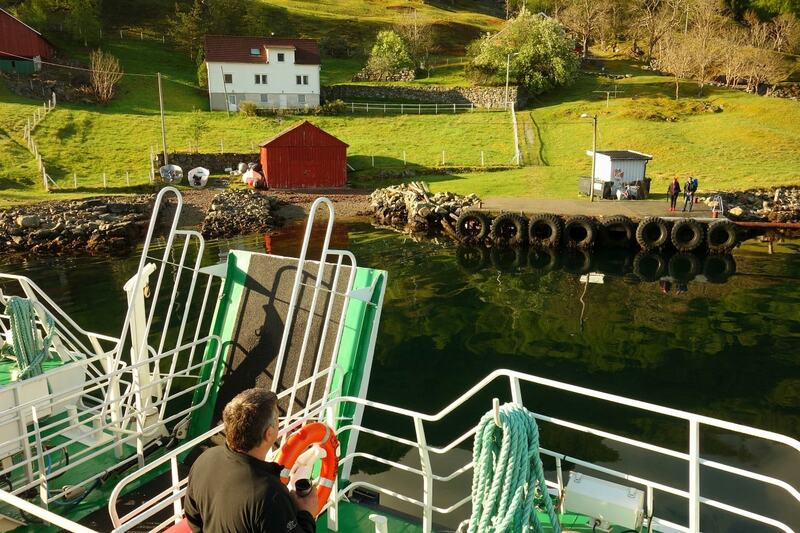 Fill up your fuel tank and your food supplies. 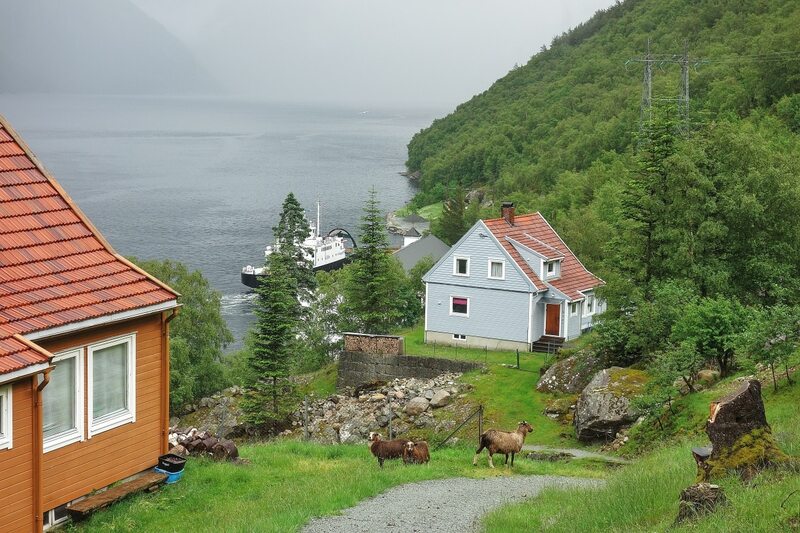 There is no gasoline station or food store in Lysebotn. 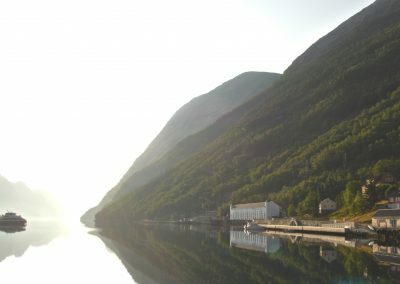 Take you time. 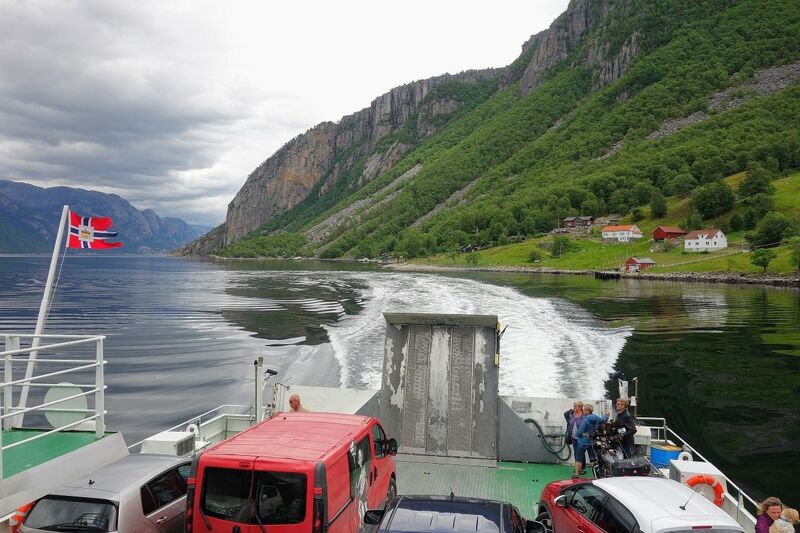 Driving in Norway and particularly the windy road to Lysebotn takes longer than Google claims!